CAAWS is taking over the University of Toronto’s Goldring Centre on October 11th – the International Day of the Girl – for an afternoon full of learning, inspiration and action in celebration of women and sport. Be part of building more inclusive sport and a stronger Ontario and Canada by joining us for this educational and inspirational day. Session topics include: strategies for keeping girls in sport; women and coaching; woman and sport leadership; LGBTQ+ inclusion; and research trends that will inform the future of sport practice. Presenters include Rosie McLennan (Olympian), Dr. Catherine Sabiston (University of Toronto) and more. National Coaches Week—September 23rd to 30th—celebrates the tremendous positive impact coaches have on athletes and communities across Canada. Female coaches are vital to a strong sport system, and their visible leadership helps to foster participation and leadership by girls and young women. Join the Coaching Association of Canada and CAAWS in recognizing female coaches for the integral role they play by simply saying #ThanksCoach. Send the female coach in your life a #ThanksCoach postcard, thanking her for her amazing job as a coach and the impact she’s made. With school back in session, after school programs are a key avenue for girls to get their daily physical activity minutes. Quality active after school programs can provide girls and young women with positive environments in which to develop lifelong physical activity habits. We rounded up our Top 10 Success Factors for designing after school programs for girls. 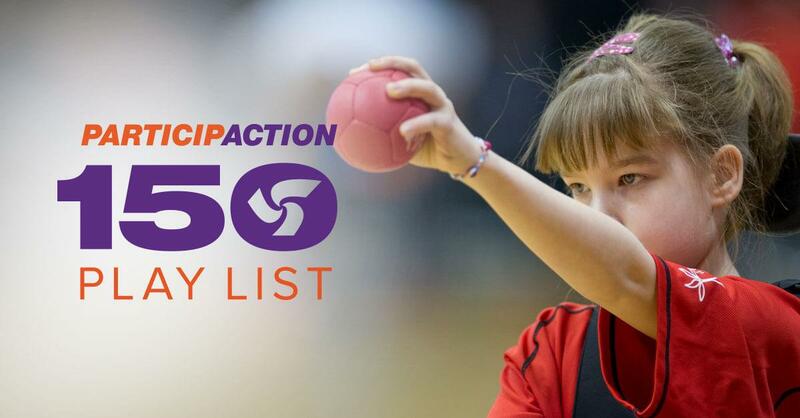 Integrate the ideas, tracking and rewards of the ParticipACTION 150 Play List to your program as a way to keep it fun and motivate participation! CAAWS is awarding ten $1000 grants this Fall! Through the WISE Fund, CAAWS invests in the development of female sport leaders and supports organizations to strengthen their engagement of girls and women in sport. Since 2004, CAAWS has awarded $140,000 in grants to leaders and organizations across Canada! The 2018 WISE Fund application opens on October 2, 2017. Mark your calendar and learn more today! CAAWS congratulates Nathalie Cook on her election as Chair-Elect of the CAAWS Board of Directors, as well as board members Rebecca Shanks and Cheri Bradish who were re-elected for a second and third term respectively. “As a purpose driven organization, we are encouraged by the overwhelming commitment and support by talented individuals that continue to make a difference,” said Sandip Lalli, CAAWS Board Chair. The Honourable Carla Qualtrough on her appointment as Minister of Public Affairs and Procurement. We are grateful for her strong support of women and girls during her tenure as Minister of Sport and Persons with Disabilities and wish her well in her new position! The Honourable Kent Hehr, whom we welcome as the newly appointed Minister of Sport and Persons with Disabilities. We look forward to working alongside Minister Hehr to continue to advance opportunities for women and sport as a vital part of a strong and vibrant Canadian sport system. The CWHL for announcing it will start paying its players this season—a terrific milestone for women’s sport in Canada.